As part of the 2009 job-creating stimulus, the government has committed nearly $40 billion to clean energy projects. 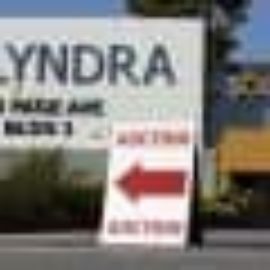 The first loan guarantee went to Solyndra Inc., a California solar firm backed by an Obama fundraiser. But instead of picking a winner, the government backed a loser. The firm failed, putting more than 1,000 people out of work and taxpayers on the hook for $535 million. Among questions now: Did the White House unduly influence the process? Did the Energy Department rush its first commitment, ignoring warning signs about the company’s viability? Will this failed project cost Obama?